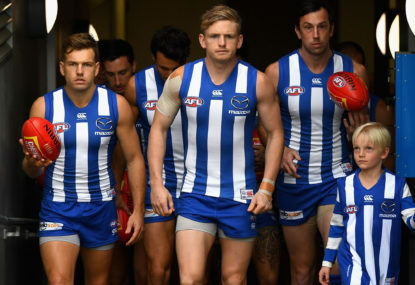 The 2019 AFL season is fast approaching and over the past few months we’ve seen many new faces enter the league. After strong pre-seasons and JLT series, these are the ten new players who are most likely to make a big impact on Round 1. Sam Walsh was taken by Carlton at pick No.1 in the 2018 AFL Draft after one of the best seasons by a draft prospect in recent years. Even before he has made his AFL debut, he is being touted as a future captain and 200-game player. Walsh is a cool and composed player who has exceptional endurance and win the football on the inside and outside. In 2018 he won the Larke Medal for the best player in the Division One Under-18 Championships, averaging 29 disposals a game for Vic Country. Carlton veteran Kade Simpson said of Walsh: “I’m yet to see a weakness to be honest, he’s a serious athlete”. Blues skipper Patrick Cripps suggested Walsh was “as ready as they come” in terms of first-year players and expected the midfielder to have a successful career at Carlton. Walsh was one of Carlton’s stronger performers in the JLT matches, slotting right into the midfield averaging 25 disposals and three tackles over the two games. Walsh in his debut game against the Bombers really stood out and showed his class finishing with 28 disposals, 11 of them contested to go with four tackles. Walsh without a doubt should be a Round 1 lock for Carlton to face Richmond. Jordan Clark is a talented attacking half-back from Western Australia taken at pick No.15 by Geelong. Clark was a talented cricketer who represented Australia at under-age level but decided to give up his cricket dreams to focus on football. Clark averaged 20 disposals and 5.5 rebound 50s for Western Australia at the Under-18 Championships, earning him WA’s MVP award and selection in the Under-18 All Australian Team. Geelong talent ID manager Troy Selwood spoke very highly of Clark. 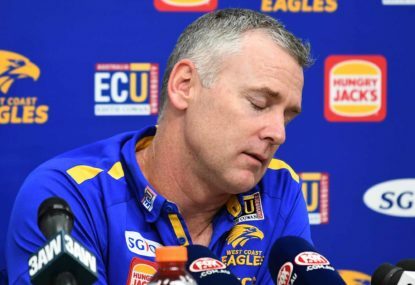 “He’s a traditional half-back flanker, a really attacking half-back flanker,” Selwood said. “He backs his decisions to read the ball, come off the man, and when he gets the ball in his hands he really takes the game on”. Clark impressed enough in the JLT series to earn a spot in the Cats’ best 22 for Round 1. Against West Coast, he finished with 21 disposals, five marks and a game-high nine rebound 50s. Zak Butters is a classy small forward drafted at pick No.12 to Port Adelaide. Butters had shoulder surgery after the Under-18 Championships, ruling him out for the rest of the season and the draft combine but had already impressed recruiters enough with a strong first half of the season. Butters averaged 20 disposals, four tackles and four clearances for the Western Jets in the TAC Cup and represented Vic Metro. The highly skilled player impressed with his outside run on the wing and his craftiness in front of goal in the championships. 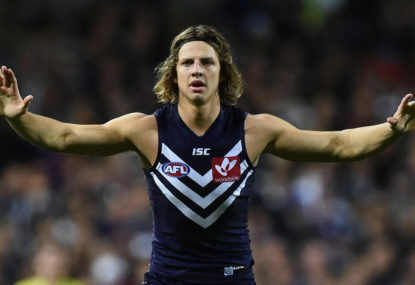 He drew comparisons with Fremantle pest Hayden Ballantyne for not only his play but his ability to get under the opposition’s skin. Butters staked his claim for a Round 1 spot over the JLT series with some strong performances, including 25 disposals and four tackles in the first pre-season outing. This was followed up another quality performance in the second with 14 disposals and three goals. Bailey Scott was selected by North Melbourne under the father/son selection at pick No.49. 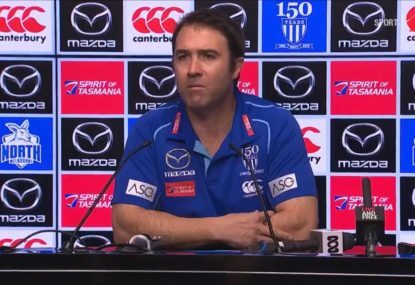 Scott was in a unique position before the draft, being eligible for three clubs: North Melbourne and Geelong as a father/son selection, plus Gold Coast as an academy player. 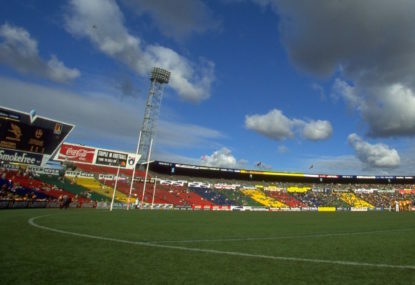 Scott nominated North Melbourne as his preferred destination before the draft where his father Robert Scott played 113 games and was part of the 1996 premiership side. Scott was always praised for his high work ethic and his elite endurance allowing him to cover the ground with his working over his opponents. 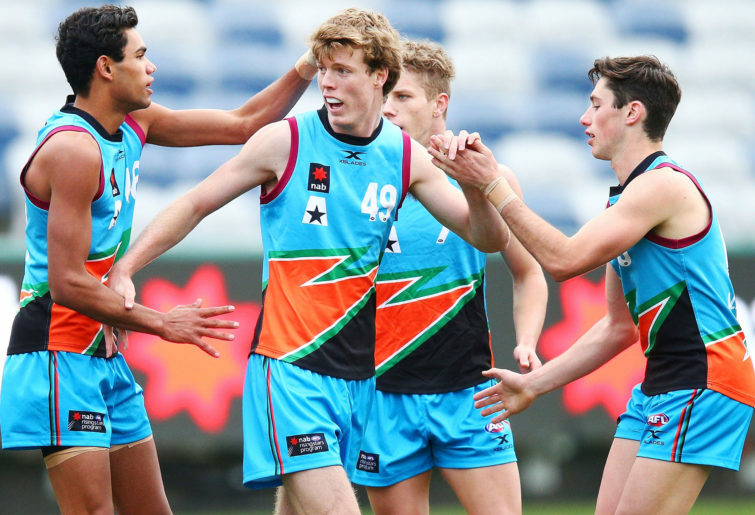 In the Under-18 Championships, Scott captained the Allies, averaging close to 24 disposals a game. Being a Suns academy player, Scott gained much exposure in the NEAFL playing with and against AFL-listed players. Scott enjoyed a strong JLT series playing mostly on the wing and at times through the middle and rarely looked out of place. He averaged 20 disposals in his JLT games and has made a strong case for a Round 1 debut. 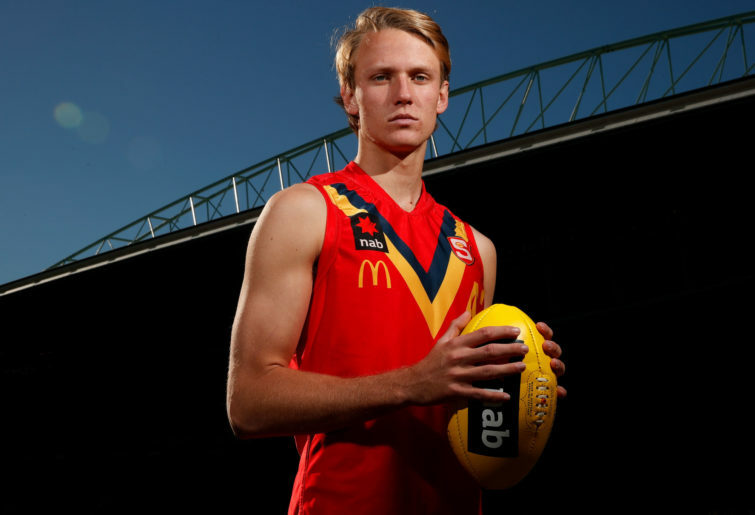 Xavier Duursma is an exciting defender that was drafted to Port Adelaide with pick No.18. He captained the Gippsland Power to second on the ladder and to a preliminary final in the TAC Cup, averaging 23 disposals and five tackles. He was one of the stronger performers for Vic Country in the Under-18 Championships, showing his strong burst of speed breaking the lines out of defence and out of the middle. Duursma plays best across the half-back line where he can take a strong overhead grab and has a long, penetrating kick out of the defence. Duursma had an impressive breakout game in the second JLT match, which should be good enough for him to lock down a spot in Port’s Round 1 side to face the Demons. He finished with 24 disposals, 11 marks and four inside 50s against North Melbourne. Nick Blakey is a tall forward taken at pick No.10 as a Sydney Swans academy selection. 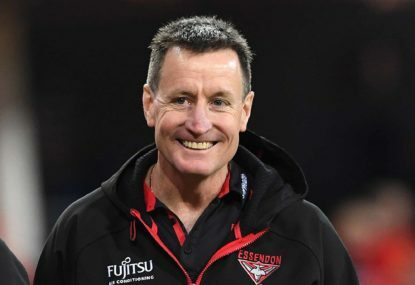 Blakey was also eligible as a father/son selection with North Melbourne and Brisbane but nominated the Swans where he was in their academy and where his father is also an assistant coach. Blakey is a 195-centimetre tall forward who is an exceptional overhead mark and is extremely athletic, which allows him at times to run though the midfield. A noted goal-kicker as a junior with a long, penetrating left foot, Blakey has also struggled the past two seasons with a stress fracture and ankle issues limiting the games he’s played. Blakey is an exciting, versatile prospect we are yet to see the best of yet. While not lighting up the stat sheet in the JLT series, Blakey showed enough to push for a Round 1 spot. He was competitive in the air, attacking every contest and even kicked two goals against the Suns. Jye Caldwell is an exciting midfielder from the Bendigo Pioneers in the TAC Cup that the Giants took with pick No.11 in the draft. Caldwell is a beast around stoppages, being a big-bodied midfielder. He is damaging in clearance situations using his power and athleticism to explode from the contest. He also has great foot skills on both sides of his body to go along with great vision to hit the right target out of the contest. He is a star in the making and is already making a great impression at the Giants. Co-captain Phil Davis said: “If I was going to put a ten-year contract in front of anyone, I’d put it in front of Jye Caldwell. I just love Jye”. Caldwell played in both games for the Giants in the JLT series and his ability was evident. He attacked the contest and wasn’t afraid to get into it with the bigger and more experienced players. He really made an impression in the first JLT game against the Swans with 14 disposals and five tackles, putting him in the mix for one of the open positions in the Giants midfield. Jack Lukosius is a 195-centimetre key forward who is a special talent and was picked up by the Suns at pick No.2. Experts have said Lukosius is probably the best kick to come through the draft in recent years. Lukosius is an amazing athlete with the elite speed and strong running ability to be a dangerous forward. He reads the game better than most and uses his speed to get away from opponents and mark the ball on the lead and is has one of the best shots for goal the draft has seen for years. He has been compared to Hawthorn star Jack Gunston because of a similar ability to use his running capacity to work up and down the ground and convert chances in front of goal. After struggling in his JLT debut, Lukosius put in a good showing in the second pre-season contest with 13 disposals and two third-quarter goals. He looked very composed even after being moved down back in the last quarter. Tall forwards take time to develop but Lukosius showed enough and has the talent to play and should line up for the Suns Round 1. Matthew Parker is an exciting forward that was taken at pick No.47 by the Saints as a mature-age recruit from South Fremantle in the WAFL. Parker is a lively and exciting forward who adds a bit of X-factor to the Saints forward line. It’s his speed and ability to take a big high-flying grab that makes him so exciting, but it’s his tackling and forward pressure that really appealed to St Kilda. In his last season for South Fremantle, he averaged 13 disposals, more than four tackles and kicked 27 goals in 20 games. Over the JLT series, Parker didn’t win much of the footy but showed enough to push for a Round 1 debut. He really impressed with two goals and seven tackles to go along with seven disposals in his first appearance. In his second, he followed up with eight disposals but really showed us his aerial ability with a big high-flying mark on four defenders in the opening two minutes. Michael Gibbons is a mature-age midfielder from Williamstown in the VFL that was signed to Carlton as a rookie under the new supplemental selection period rules. Gibbons is midfielder who has been a consistent and stand-out player in the VFL for the last few years. Gibbons has won everything you can in the VFL, including a premiership in 2015 where he won the Norm Goss Medal (the VFL equivalent of Norm Smith medal), as well as selection in the VFL team of the year for the past three seasonsand two JJ Liston medals in 2016 and ’18. He is a small midfielder who can push forward. He is a strong athlete who is a natural ball-winner. He goes hard at the football and loves the contest. Gibbons played both JLT games for Carlton predominately up forward, kicking three goals in the first game in a solid performance. Gibbons should be a Round 1 lock for Carlton. He has years of experience against bigger bodies and can help these youngsters. He will play up forward mostly, but we know can also run through the middle. Jackson Hately, Ben King, Nick Hind, Chayce Jones, Connor Rozee, Isaac Quaynor and Brett Bewley are some other kids to keep an eye on.